4921 Deeson Road Lakeland, FL. | MLS# T3142239 | Vogel Realty Services, Inc. | Expert Broker & Realtors Connecting Buyers & Sellers FAST | Central Florida Serving Plant City, Lakeland, Brandon, Valrico, & Tampa Florida. COUNTRY COMFORT! 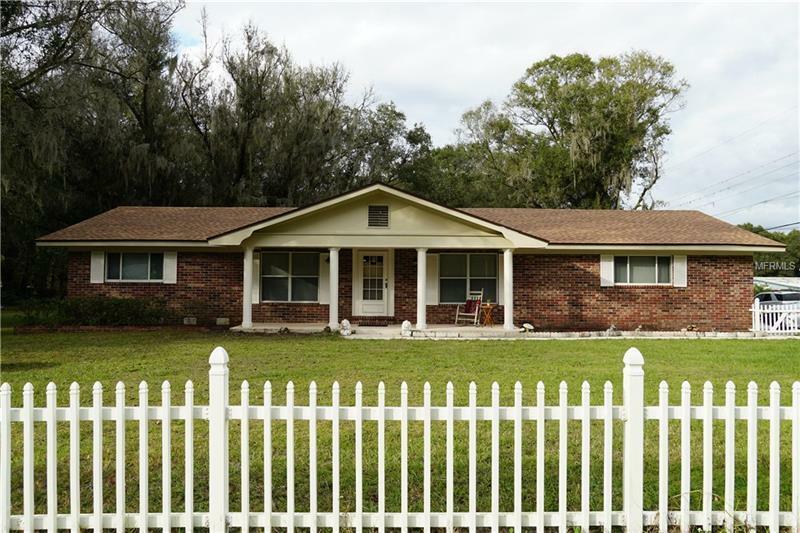 Located North Lakeland on .88 acre corner fenced lot. Enter home with open front porch, ready for your favorite rockers. A double foyer entry leads to inviting sunken living room. Large window overlooks front yard, perfect for your Christmas tree. FEAST IN A DINING ROOM that works for two or ten! Sliding glass doors that lead to lanai area. BIG ENOUGH FAMILY ROOM for any occasion! Cathedral ceilings framed with wood beams and plenty of windows that let the nature light in. Wall to wall sliding glass doors that lead to lanai area. U-shaped kitchen has plenty of cabinet space and abundant counter space. Double duty snack bar serves as work space and additional seating. All appliances included. Master bedroom features on suite bath with roman tub and his/her sinks. THREE FULL BATHS. Inside laundry room has plenty of cabinet space with built in desk and closet pantry. BOAT, TRAILER OR RV storage is one of the many features of large lot. DETACHED BARN/WORKSHOP solves storage problems with second story to additional storage needs. Side entry two car garage. Call now for details!